selected by a cruising couple who wanted comfort, style and entertainment flexibility while on board. A spacious salon with satin finish teak and holly flooring features double ultra-leather settees with an elegant teak, large built-in bar. Forward of the galley is a large custom-designed dining area. With four staterooms in addition to crew quarters, there are no crowded spaces. 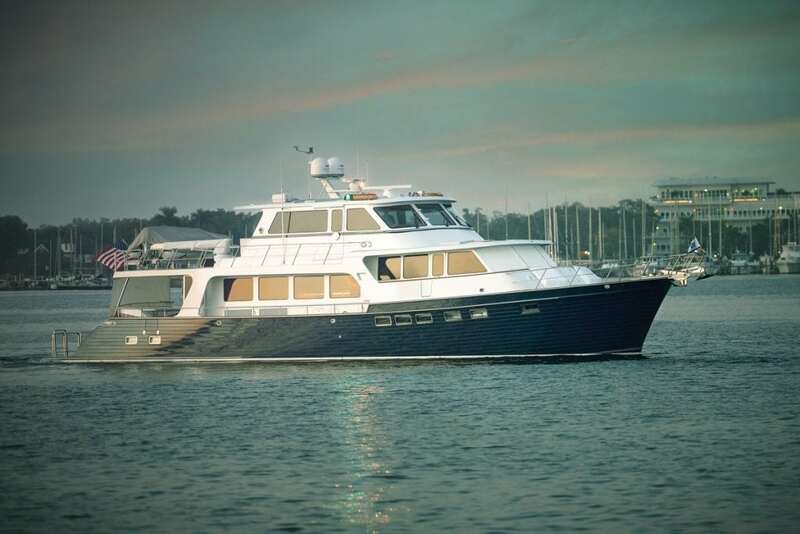 On the upper aft deck, beautiful sunsets will be enjoyed from the custom built-in bar and exquisite settee. The Explorer 75E achieved over 30 knots on sea trials and can cruise from West Palm Beach to Newfoundland at 10 knots average speed.